Circadian clock genes are remarkably conserved between eucoelomates. Although Drosophila has one copy of each major component, vertebrates have two or (in the case of the Period genes) three paralogs (Per1-3). We investigated the possibility that the vertebrate Per genes arose through two genome duplications during the emergence of vertebrates. Phylogenetic trees have placed zebrafish and mammalian Per1 and 2 together in a separate branch from Per3. The positions of four coding region splice sites were conserved between Drosophila per and the human paralogs, the fifth one being unique to Drosophila. The human PER genes shared the positions of all coding region splice sites, except the first two in PER1 and PER2 (which PER3 lacks). The phases of all splice sites were conserved between all four genes with two exceptions. Analysis of all genes within 10 Mb of the human PER1-3 genes, which are located 7.8—8.8 Mb from the telomeres on chromosomes 17, 2, and 1, identified several orthologous neighbors shared by at least two PER genes. Two gene families, HES (hairy and Enhancer of Split) and KIF1 (kinesin-like protein 1), were represented in all three of these paralogons. Although no functional fourth human PER paralog exists, five representatives from the same gene families were found close to the telomer of chromosome 3. 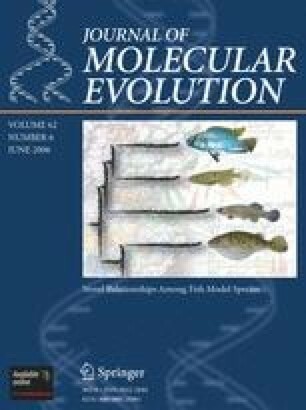 We conclude that the ancestral chordate Per gene underwent two duplication events, giving rise to Per1—3 and a lost fourth paralog. The authors acknowledge the financial support of the BBSRC (90/C16668) and helpful suggestions from Finn Hallböök.